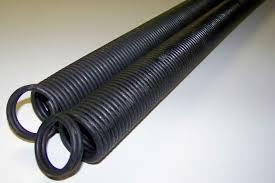 The Garage door torsion spring in Edmonton is absolutely essential to the functionality of your garage door if that is the type you are using. If it breaks, your garage door will be unable to open and close correctly, if at all. The torsion springs are unwound when the door opens, and rewound to full tension when closed. While most torsion springs are designed to last between 3-7 years, a number of factors can contribute to their shortened life. Garage Doors Edmonton offers the service you need. Adding more weight to your garage door, in the form of new windows, new paint jobs, or any similar impact on weight can shorten the life of torsion springs by quite a bit. Additionally, humid weather can cause torsion springs to give out due to thermal cracking, rust, and other problems. That’s why we offer garage door torsion spring replacement, garage door torsion spring repair, and extension springs for garage doors. That’s not all we do, but it covers a great majority of our customers’ needs. At Edmonton Garage Doors, you can bet that you’ll be getting a great deal on any garage door torsion spring cost, as well as any garage door torsion spring replacement cost. Sometimes it’s possible to provide repairs for torsion springs that aren’t too badly damaged, in which case we can offer you a good deal on any garage door torsion spring repair cost. Torsion spring garage door setups are widely in use, so we are very familiar with every kind of setup imaginable. We’ve also learned through years of experience how to provide accurate garage door torsion spring adjustment, which can add life to your garage door. When we replace, we like using Clopay torsion springs because they’re as reliable as it gets. We can also replace garage door extension springs, if your garage door uses those instead. Choose Garage Doors Edmonton today for the very best in torsion spring and extension spring services!